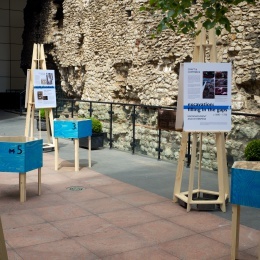 CITE AS: Flo Laino, "THE MINORIES INTERPRETIVE PANELS," in 100 Minories, June 26, 2015, https://100minories.lparchaeology.com/the-minories-interpretive-panels/ [Date Accessed: April 23, 2019]. 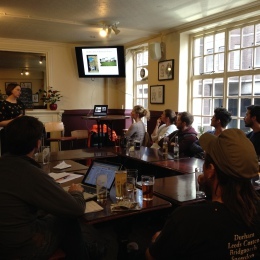 Susan Greaney, Senior Properties Historian giving Symposium talk to the 100 Minories excavation team about producting Heritage Interpretation. 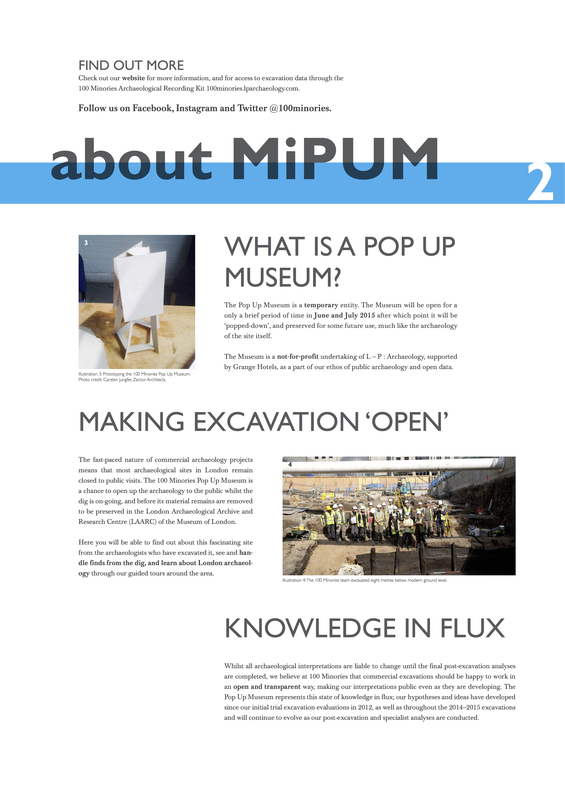 Workshop with Talfan Davies, Susan Greaney, Guy Hunt and Flo Laino to develop MiPUM panels. 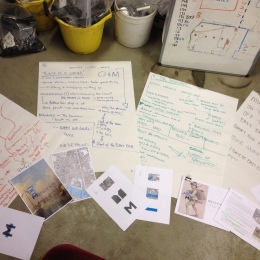 First draft of ideas workshop for MiPUM panels. 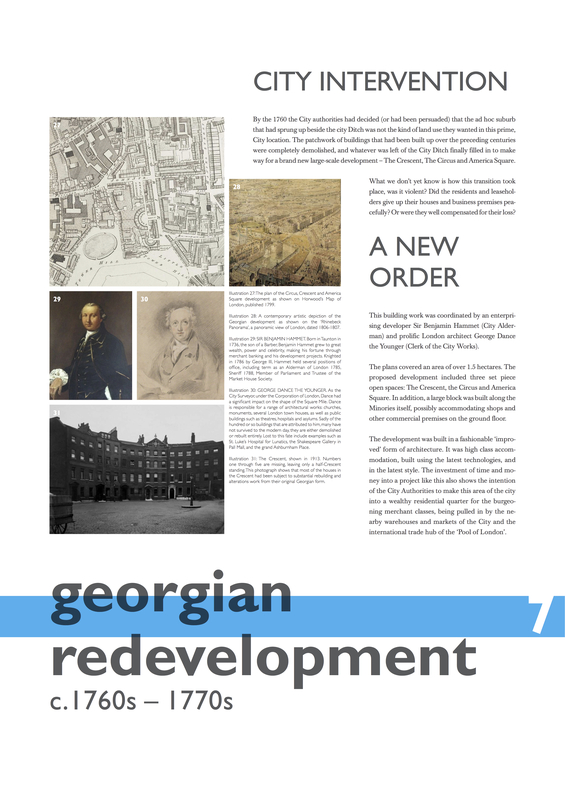 The 100 Minories Pop Up Museum interpretation panels have been produced as a direct output of Talfan Davies’s #100Symposium research project ‘Dissemination and Design: The Minories Landscape Panels’ - read about the project here! 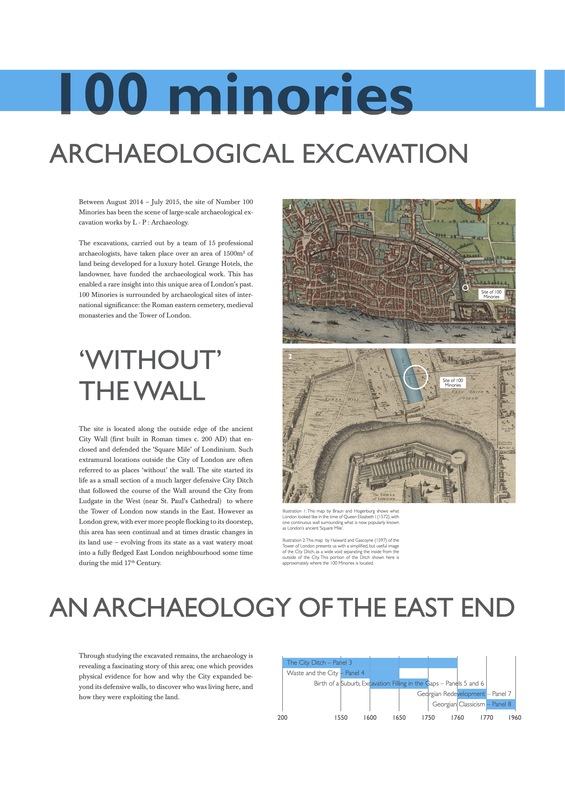 The aim of the project was to produce a set of written and graphic interpretive panels to present findings from the dig to a general public audience. 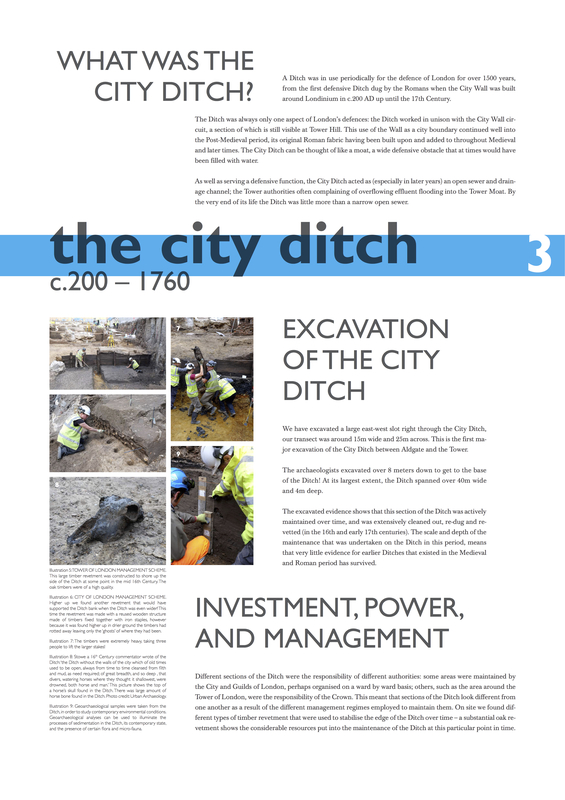 The resulting output focussed on communicating the drastic ways in which the landscape of the 100 Minories site has changed over time as a key narrative, morphing from ditch, moat, landfill, and a variety of built environments over the course of 1400 years of human activity. 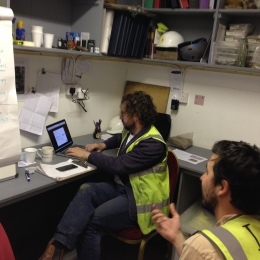 The project was conceived and headed by Talfan Davies; yet the final output has benefitted from the collaboration of several individuals both internal and external to the excavation work. 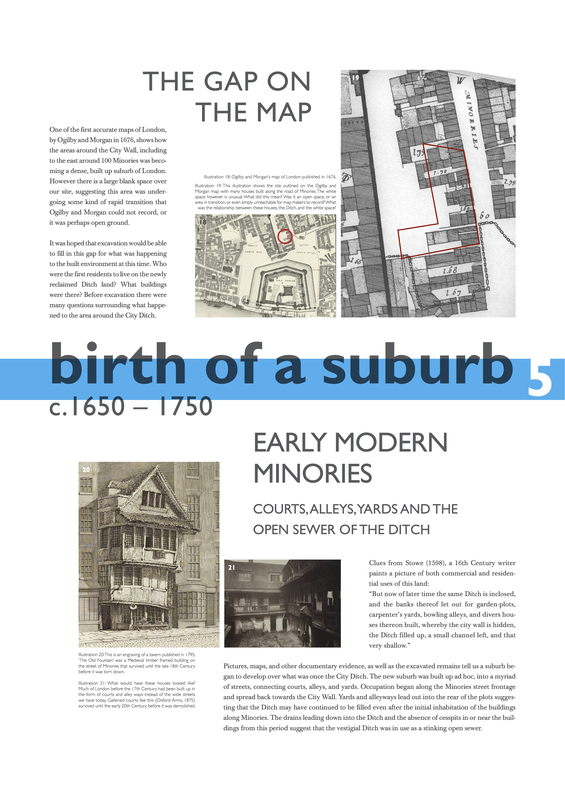 English Heritage’s Senior Properties Historian, Susan Greaney is to thank for key development work. Flo Laino, Guy Hunt and Chiz Harward have collaborated on the copy writing and editing, and the graphic design was completed by Gabriel Pedrosa. 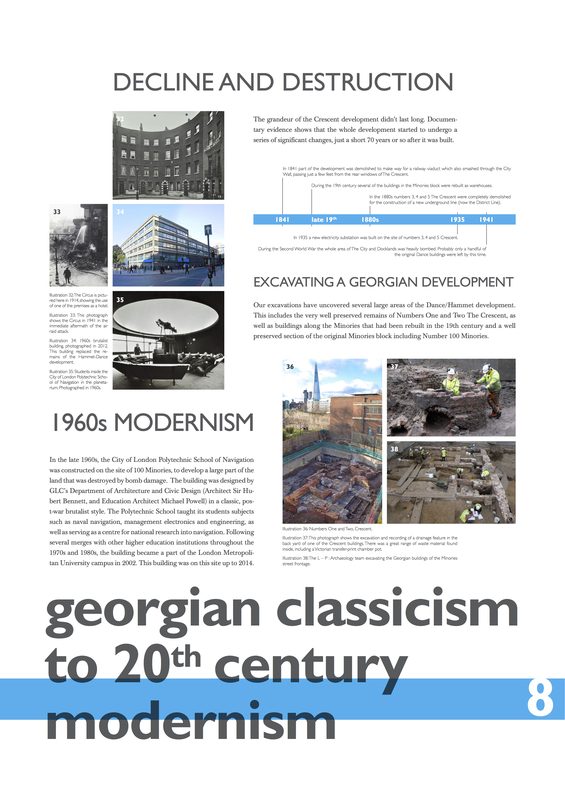 It is important to highlight that this project was set up within the framework and mandate of the 100 Symposium. 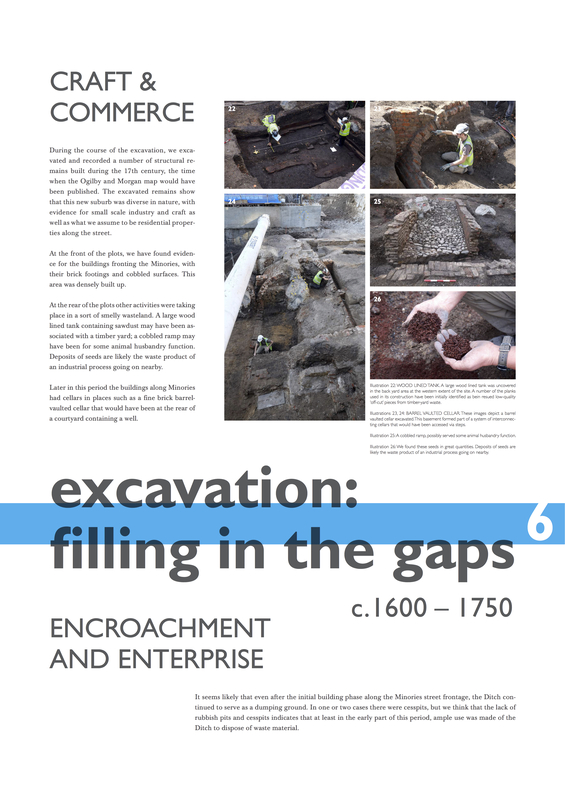 It has been a great chance for individuals on the excavation first, to particpate in a kind of interpretive and curatorial work that would not normally be produced within the scope of commercial field work, and second an opportunity to work alongside specialists, such as Susan Greaney who works professionally in this domain producing interpretive materials of historical and archaeological sites around the UK. We are delighted to present these panels to you as a sneak peek for what the 100 Minories Pop Up Museum has to offer, and to invite you to come check us out throughout June and July! 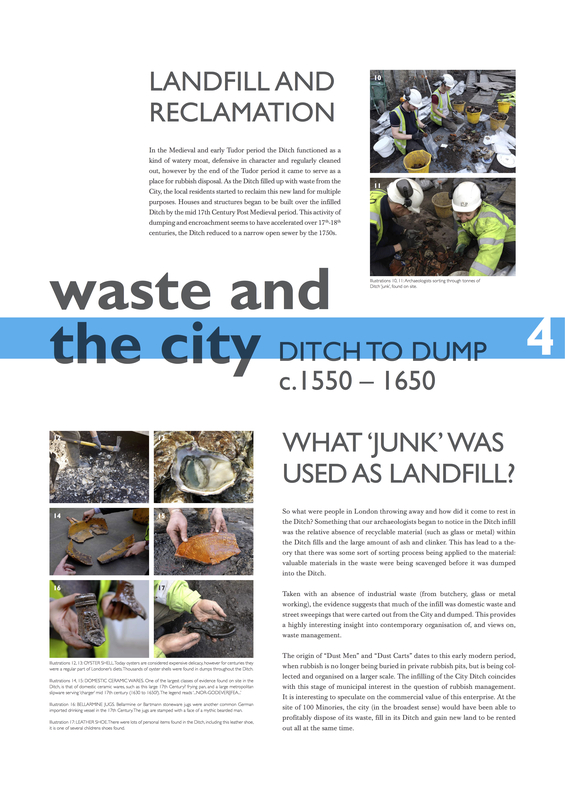 View larger images of the panels HERE –> MINORIES PANELS (download).